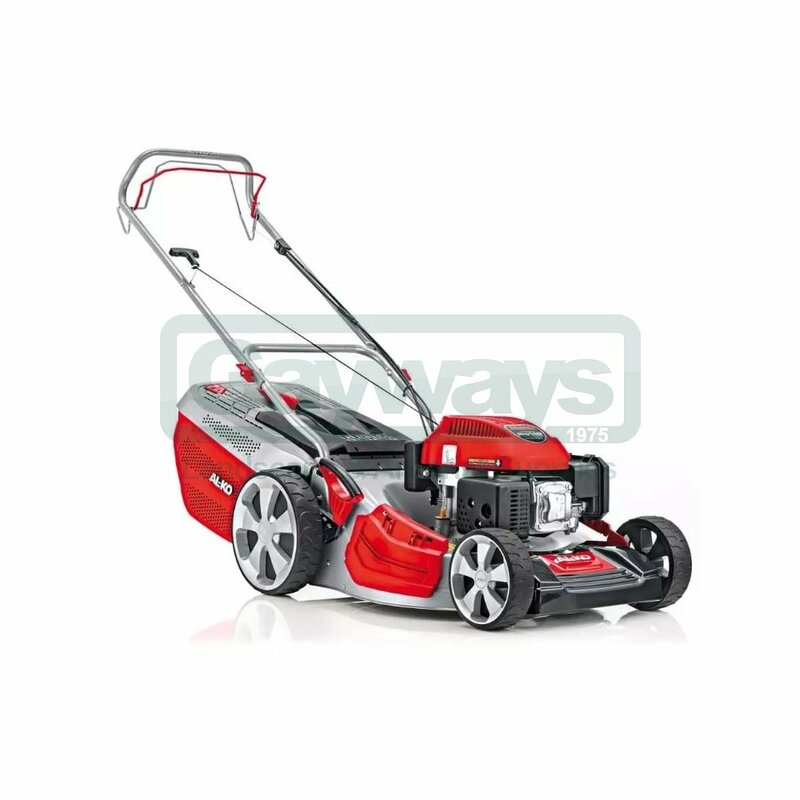 The Highline 51.7 SP-A is a multi-functional self propelled lawnmower suitable for medium / large lawns. The Highline 51.7 SP-A 4INONE self propelled petrol lawnmower with a 52cm / 20 inch cutting width offers the high quality German engineering and flexibility. 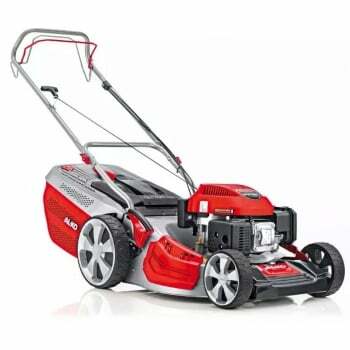 The efficient AL-KO PRO 140 four-stroke 140cc petrol engine provides the power to the cutting blade and the wheel drive which means that the mower does not require any pushing, particularly useful when mowing slopes. Together with the mowing and collection functions, the mulch plug supplied with the lawnmower can simply be placed into the discharge channel to engage the mulching function whilst the side discharge is ideal for when the mower is being used in areas of longer grass. Built on an extra tall MAX AIRFLOW Steel deck with large discharge channel, the increased airflow resulting in the grass cutting being thrown backwards in a high arc into the back of the large 70 litre capacity grass collector meaning that the collector is effectively filled from the back without the discharge channel becoming blocked. When the grass collector box is full, the integrated indicator will alert the user. The XXL smooth running wheels ensure the mower is comfortable to operate and easy to manoeuvre and when the mowing is complete, the integrated space saving storage position enables the mower to be stored in an upright position.